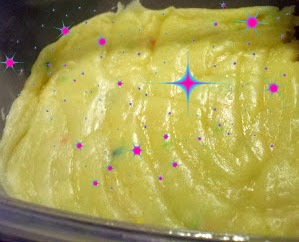 I mean when you see "funfetti cake batter 10 minute microwave fudge" on Pinterest, how can you not try it out?! This Cake Batter Fudge from Baked From a Box was literally so easy to make. Remove and stir immediately, then press into a pan to cool. The SITS Girls Mini-Bloggy Boot Camp!